A lot of people enjoy growing African Violets in their homes. There are a lot of different colors and types of African Violets available. However, if you are going to grow African Violets, there is a good chance that you will need to buy indoor lamps as well. 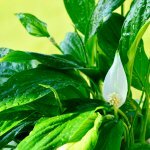 Although these flowering houseplants require a little bit more attention and care than other houseplants, you will definitely enjoy the bright and fun flowers which these plants can produce! A lot of people recommend spider plants as a colorful and fun flowering houseplant. Spider plants are hanging plants which have grassy leaves that are either available in yellow and white, or green. In addition, spider plants also produce fun little white flowers, which add a fun touch of color indoors. If you have an interior with a lot of darker colors, having fun little white flowers will be a great color addition. Another one of the most colorful flowering plants is Neoregelia. The leaves are brightly colored and flat, and they are usually red or fuscia colored. There also are colorful flowers which grow out of a shallow depression which is in the center of the plant. 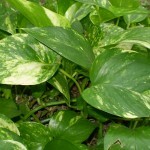 The fun flowers with the striped leaves make this a very fun and playful houseplant to decorate your house with. Fire Flash is another colorful flowering houseplant, and it actually is related to spider plants. Fire Flash has brightly colored leaves which are green with a bright coral-colored stem. The middle of this plant produces a great columnar spike of white flowers in the center of the plant, which are densely packed with little white blossoms. This is a really fun colorful flowering houseplant that looks great indoors. Tradescantia pallida, also known as “Wandering Jew” is a popular, colorful houseplant. Wandering Jew is also found in outdoor garden beds. The leaves of this brightly colored plant are a rich, deep purple. In addition, the flowers of Wandering Jew also are a light purple flower with a light yellow or orange center. This plant is also considered non-toxic and safe for humans to eat, but you probably won’t want to eat Wandering Jew because it tastes so bland. With showy large leaves and brightly colored clusters of flowers, Angel Wing Begonia is easily one of the most colorful flowering houseplants that you can find. Angel Wing Begonia has blooms that hang in clusters like grapes, and the bright colors of these flowers are a lot of fun! In addition, the leaves of Angel Wing Begonia are also brightly colored. 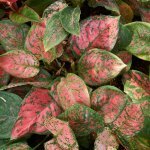 This plant is also a great houseplant option because it does well in both shady and sunny locations, so you’ll be sure to find a place in your house for this great plant! 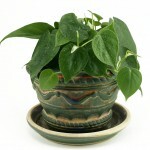 This Brazilian plant, also known as Prayer Plant, is a fun addition to any house. The flowers from this plant are white or purple, and the leaves are also brightly colored too, with really fun striped designs. So, if you want to add a lot of color to your house, you can see that you have a lot of options! 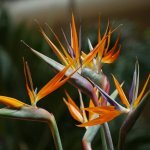 There are a lot of colorful flowering houseplants to choose from. Have fun with your colorful flowering houseplants.